NASA will launch a suborbital sounding rocket–research rockets that fly a parabolic path, spending only about five minutes in space–carrying a Penn State led experiment to test a newly-developed X-ray spectrograph and study the X-rays from a supernova remnant in the Milky Way galaxy. The Water Recovery X-ray rocket, or WRX, is scheduled for launch April 4, 2018 from Kwajalein Atoll, the Republic of the Marshall Islands. "Supernova remnants in our galaxy are good to study due to their proximity, which makes them large, bright targets on the sky," said Randall McEntaffer, professor of astronomy and astrophysics and of physics at Penn State and principal investigator of WRX. "This mission gives us an opportunity to demonstrate the improved efficiency of the X-ray spectrograph that we designed and built, as well as learn about the supernova remnant." "As astronomers, the sky that we look at is dependent on the latitude of observation. As we go toward southern latitudes we open up the southern sky. At White Sands, Vela is at too low of an altitude for efficient observation. Being able to launch from Kwajalein with water recovery increases the number of our observation targets," said McEntaffer. The WRX mission, which will fly on a NASA Black Brant IX sounding rocket, targets the Vela supernova remnant and measures soft X-rays emanating from this region. The Vela supernova remnant was created when a star, greater than 10 times the mass of the Sun, collapsed and then exploded as a supernova, the final stage of massive stellar evolution. Supernova explosions are one of the most energetic events in the universe and play a role in recycling material within galaxies. They are responsible for the creation and distribution of elements–such as, oxygen, silicon, neon, iron, nickel, and magnesium among others–into the interstellar medium, thereby providing source material for the next generation of stars and planets. The explosions are rarely seen in action in our galaxy, but evidence is left behind as a supernova remnant. Ejected material from the explosion travels at high speeds and the shockwave sweeps up interstellar material along the way, continuing to heat it to temperatures as high as 10 million Kelvin. These hot temperatures lead to emission of high energy electromagnetic radiation, such as X-rays, from the remnant. "The WRX payload will investigate about 10 square degrees of emission located in the north central section of Vela with its diffuse X-ray spectrograph," said McEntaffer. "This will provide a modest resolving power spectrum of this region that has yet to be spectroscopically explored." WRX measurements will allow scientists to derive information about the conditions in the Vela supernova remnant such as the temperature, density, chemical composition, and ionization state. Using these characteristics, they will also be able to estimate the shock velocity near the remnant's limb, the age and type of the remnant, and the energy of the supernova. NASA's Sounding Rocket Program is conducted at the agency's Wallops Flight Facility, on Virginia's Eastern Shore. Wallops is managed by NASA's Goddard Space Flight Center in Greenbelt, Maryland. Orbital ATK provides mission planning, engineering services and field operations through the NASA Sounding Rocket Operations Contract. 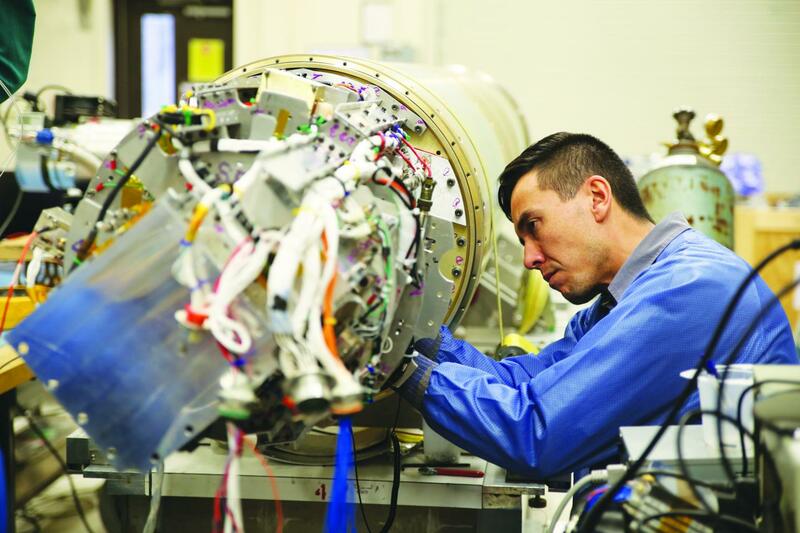 NASA's Heliophysics Division manages the sounding-rocket program for the agency.